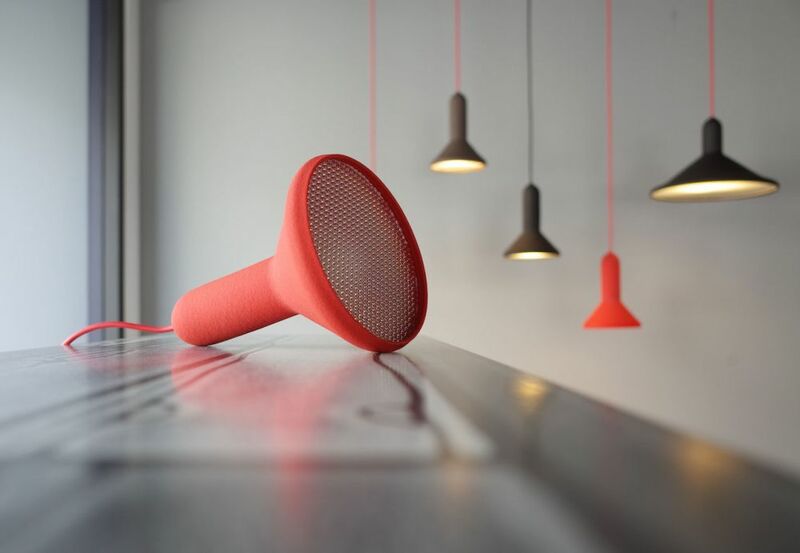 The Torch Light combines a tactile, PVC-dipped polymer shade with a diamond-textured diffuser – a reference to car headlights – and a brightly coloured cable, offering a wide array of colour and cluster combinations. 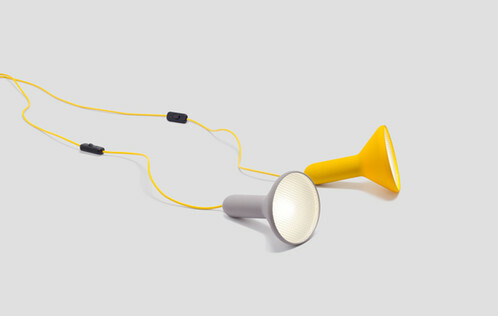 The designer Sylvain Willenz was inspired by the silhouette of a typical torch ligh for the lamps in his Torch series. 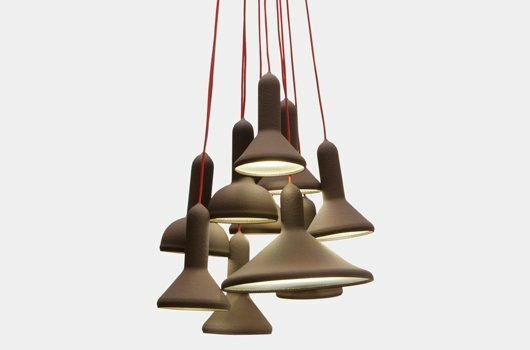 The designer Sylvain Willenz was inspired by the silhouette of a typical torch for the lamps in his Torch series. 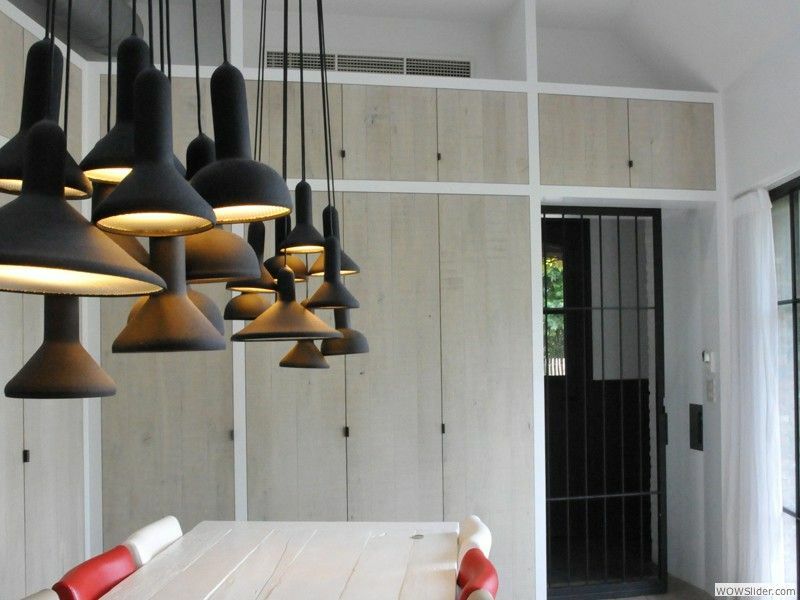 The lamps are hung from the ceiling and can be arranged individually or in a bunch of multiple lamps. 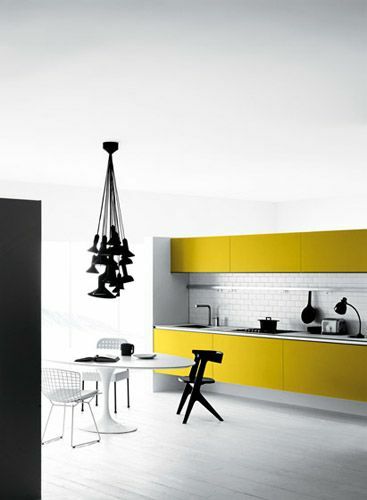 Further colour versions are available on demand. 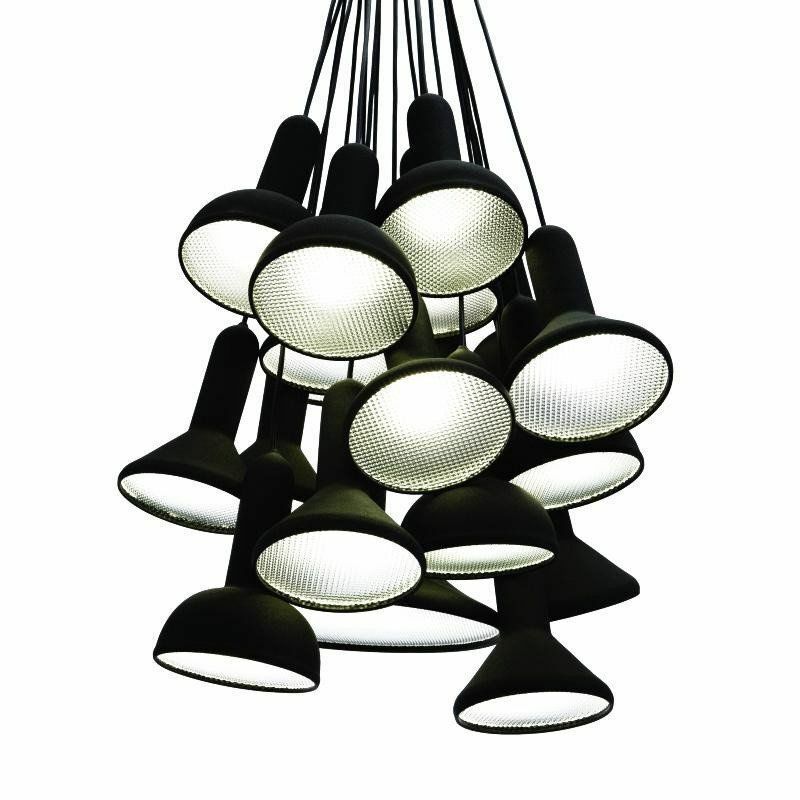 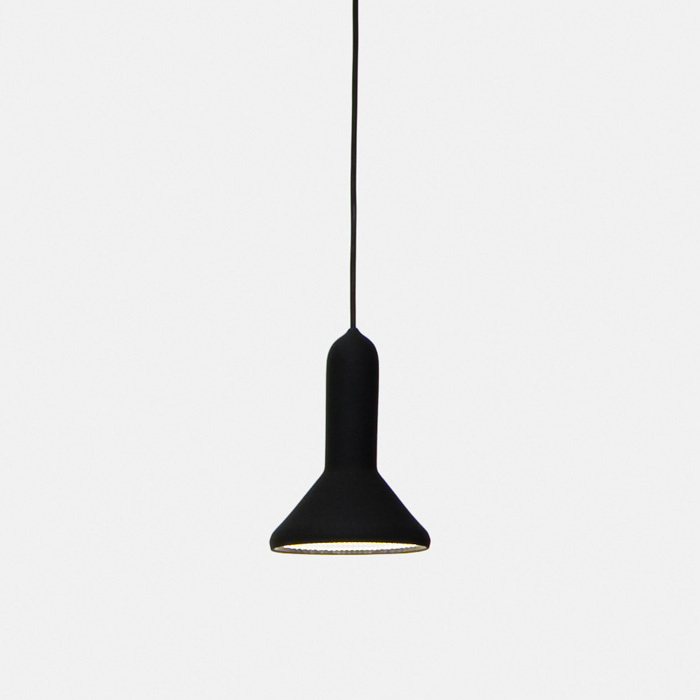 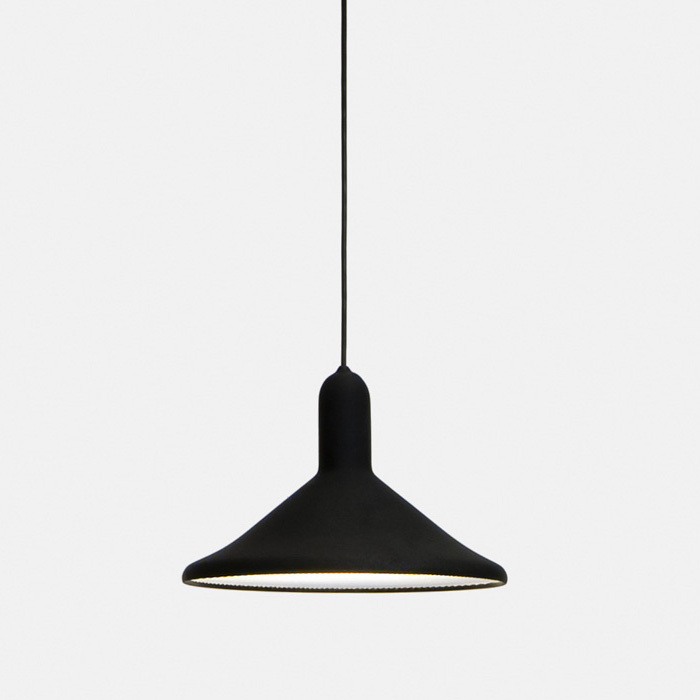 The pendant lamps are available in different sizes, round or in a cone shape. 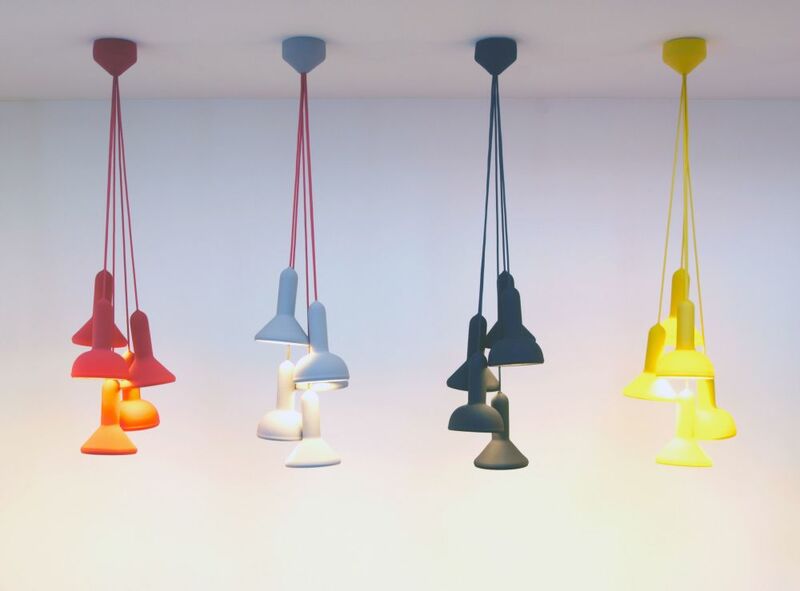 Additional colours are available on demand. 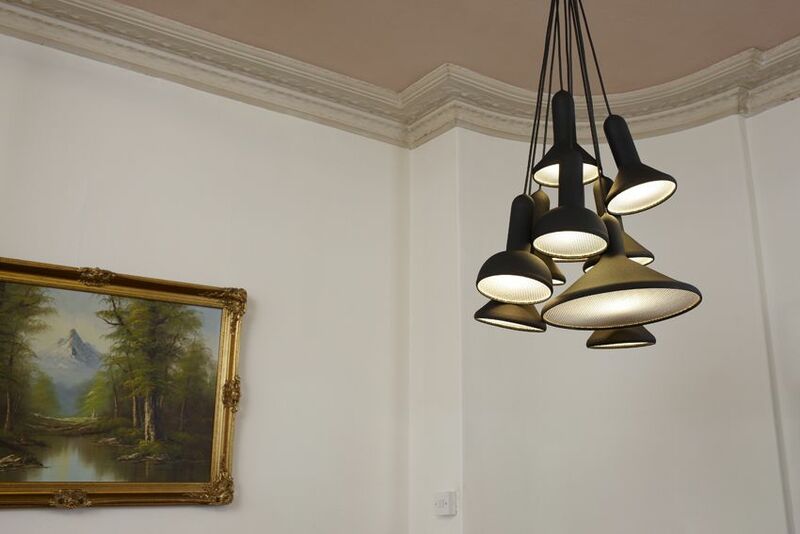 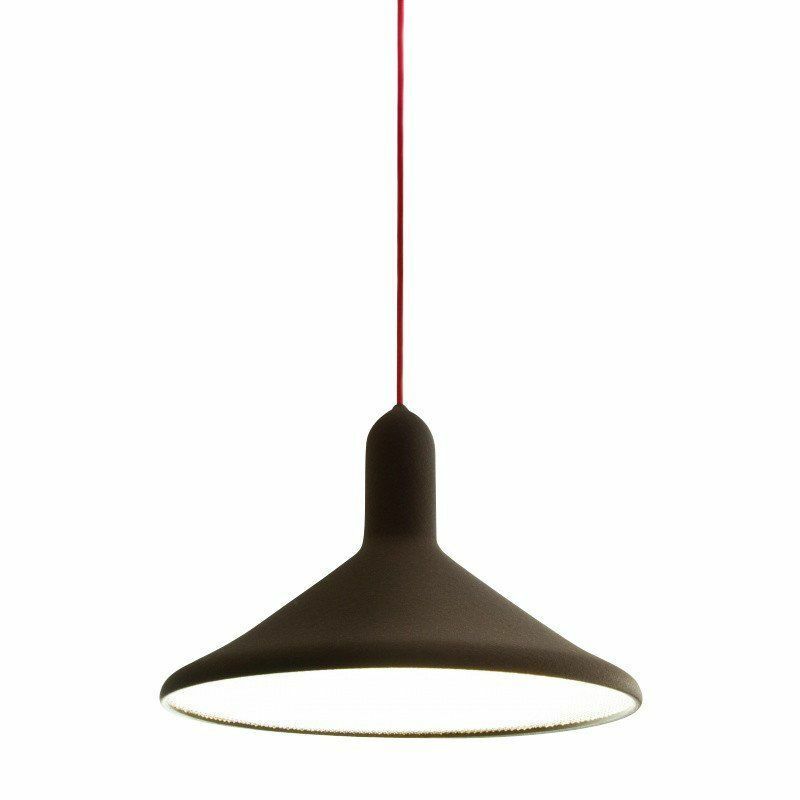 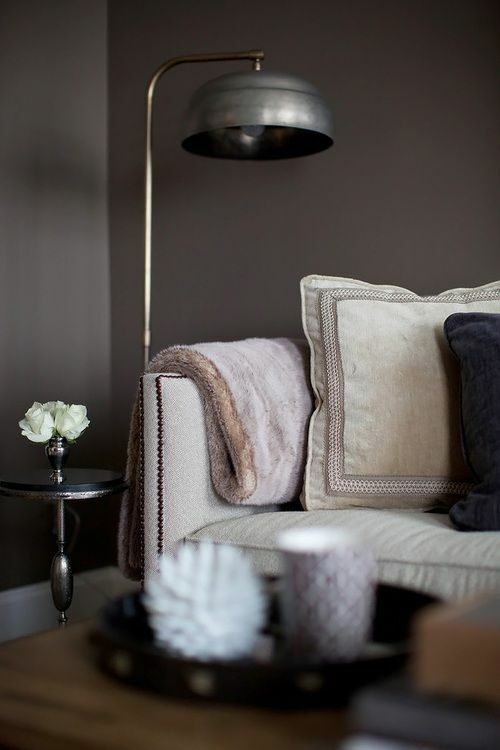 The pendant lamps are available in different sizes, round or in a cone shape.